Lookup recipients from a database table to distribute leads based on any criteria. Instantly email all the records in your database that match specific criteria when your form is submitted. 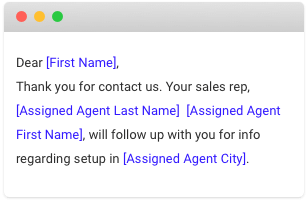 Imagine being able to automatically distribute leads to the correct department based on a simple lookup query (send this lead to all users where department = 'sales' and state = 'Washington'). 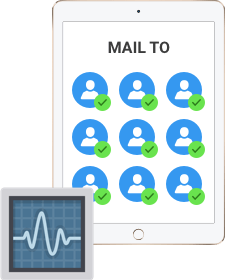 Quickly filter and delivery email notification to the right group of recipients every time. Look up sales rep by zip code, send them an email and record with the record that they are now the owner of that lead. 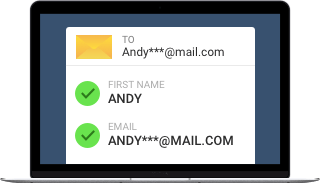 Pull in the lookup data to personalize your emails even further. For example, send a response email back to your customer to let them know that Sales Rep "Bob Jones" has been assigned to their case. Tight integration with triggers means you can email a group of subscribers using this powerful lookup logic whenever your trigger logic runs!